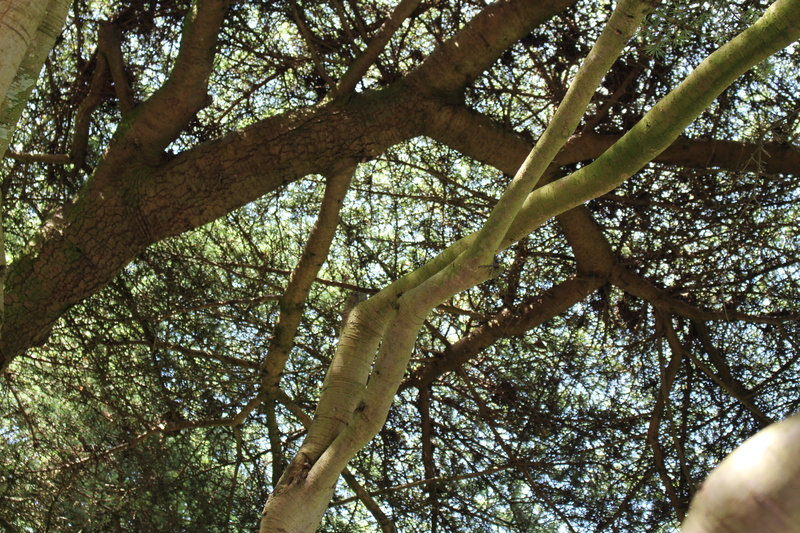 Our next stop were the National Botanical Gardens and Glasnevin Cemetery. We visited the cemetery first because the museum closes earlier than the gardens. It turns out they weren’t conducting their regular cemetery tours because they were reennacting Jeremiah O’Donovan Rossa’s funeral for the (almost) 100th anniversary of the 1916 Easter Rising. There were a bunch of flute bands and military units marching down the streets and through the graves, as well as a horse-drawn carriage pulling along a coffin covered by an Irish flag. When the masses of attendees and viewers settled down, the presenters sang patriotic songs and gave patriotic speeches. After the thoroughly interesting ceremony, we headed to the Botanical Gardens and rambled among the pretty flowers and rocks. While I was looking at a tree, a white guy came up to me and asked if I was from China. When we had enough of the place, we returned to City Centre and visited a renowned pastry shop called Queen of Tarts. I got an amazing pavlova dessert that just melted in my mouth. Good way to end a day of adventures. I met up with my friend past noon at the bus stop to go watch two Gaelic football quarterfinal matches in Croke Park Stadium. Before that, I bought lunch at the on-campus supermarket. While I paid for my food, two Chinese guys asked if I was Chinese and I obligingly talked to them in Mandarin. Overhearing this conversation, a white guy approached me and asked if I spoke English. I told him in my perfect Californian accent that I am from America. My friend is also Chinese, so we were talking in Mandarin on the bus. The Asian guy in front of us turned around and started speaking to us in Chinese. He added us on social media before getting off the bus to attend church. We reached the bus stop near Croke Park and saw tons of people milling around. We followed the mob to the stadium and got through the ticket barrier. An Asian girl with a heavy Irish accent and giant spider-like eyelashes tried to sell us a fancy pin. We still didn’t buy the pin after she said, “Are you Chinese? I’m Chinese!” If you’re counting, that’s the fourth time in two days I was asked to confirm my ethnicity. I’m just surprised it hasn’t really happened until recently. We settled into our seats, where we had excellent views of the pitch. The Kerry vs Kildare game started first. Even though the teams seemed even at first, Kerry, the 40-time All-Ireland championship team, started pulling ahead in goals. The guy sitting behind us was from Kildare, and he made the match fun by inserting his own commentary: ‘Tackle him!’ “Jaysus.” “One million hand passes later . . .” I struck up a conversation with him and asked for a bunch of tips on how to understand the game. Kerry destroyed Kildare in the second half, making our fellow Kildare fan miserable. 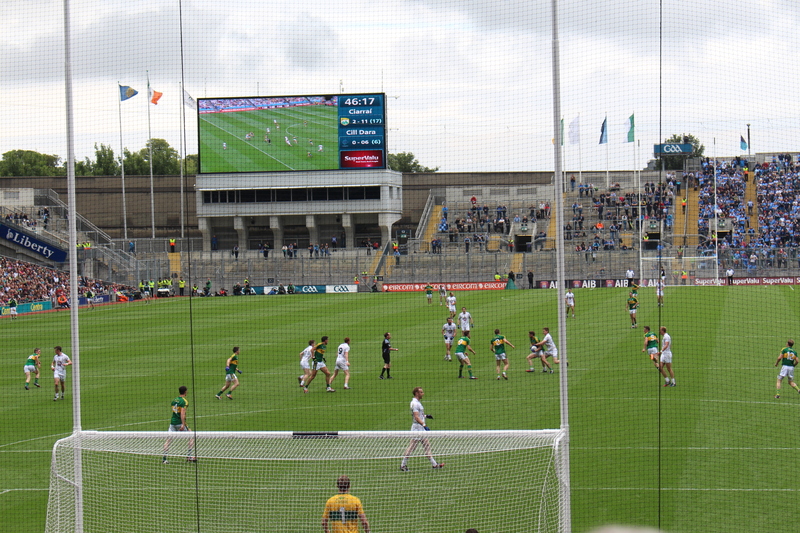 After a thirty minute break, the Dublin vs Fermanagh game started and the Kildare guy behind us cheered for Fermanagh, the “underdog.” Dublin won as expected, but Fermanagh only lost by eight points, a relief considering Kildare lost by a 27-point margin to Kerry. We then walked back to City Centre. Passing the Savoy Theatre along the way, we decided to watch the 8:35 pm showing of Inside Out. First, we had fried fish at Beshoff’s Fish and Chips and sat outside a gelato shop, talking. At the movie theatre, I finally got to try a twisty green and white ice cream I’ve had my eye on for a while. It turned out to be pear-flavored. Inside Out absolutely blew us away. Best movie I’ve seen in a long time. Today was a bank holiday, so I didn’t have to go to work. 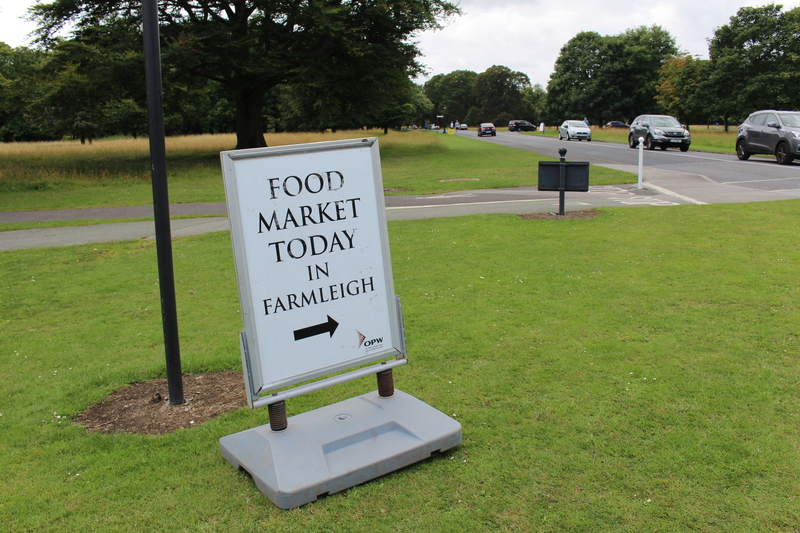 My friends and I took the bus to Phoenix Park to hang out and find the Farmleigh food market. We walked for what seemed like miles and kept asking for directions until we finally saw the path leading to the market. A guy on a bike stopped to “take pictures” for us, but he actually just wanted to ask if we were Chinese. Finally got to the market so we could stuff ourselves with food. We sampled a bunch of delicacies like olives and pastries before buying hot dogs and fresh smoothies. There were some Chinese guys selling Chinese food at a booth where my friend bought a prawn skewer. We then hung out at a nearby lawn crowded with families and talked. There was a weird performance where some acrobats performed with ropes and ribbons. It used some nonsensical, disjointed filler story, but the kids loved it. Back in the city, we shopped around and bought dinner to go. It was a long and tiring but fulfilling weekend. I finished almost everything on my checklist. Spent the day writing articles. Not a bad day of work. I picked up measuring tape and rubbing alcohol from UCD residential services to measure my duffel bag and clean up some spilled ink on my desk. The alcohol worked magically, and the duffel bag turned out to be the perfect carry-on size. I went for a run in the campus gym while waiting for the laundry to finish. The dryer was broken and I had to pay for another dry cycle. Grr. Finished my article and sent it off. Watched the Travel editor work on his Barcelona episode for a bit. After lunch, I accompanied a videographer on a shoot to film this guy picking up a check for 6 million euro, which he recently won in the National Lotto. There were a bunch of cameramen and journalists bustling around trying to get a good shot, and my job was to stick the microphone in the lotto winner’s face during his interview. Made my way slowly after work to the Westin Hotel for a farewell reception planned by our internship placement program. The tea reception was in a fancy ballroom. They served three tiers of mini sandwiches and desserts per two people. Every morsel of food was delicious and super sweet. We all talked about the bittersweetness of our final few days in Ireland. As I walked to work today for the final day of my internship, I stopped by a grocery store and checked out the Irish Independent. There was my article, spread across the page! I was both happy and apprehensive, since I still don’t have 100% faith in my writing. I got a copy of today’s paper at the office as a souvenir. Today was a day of many lasts. Last day of class. 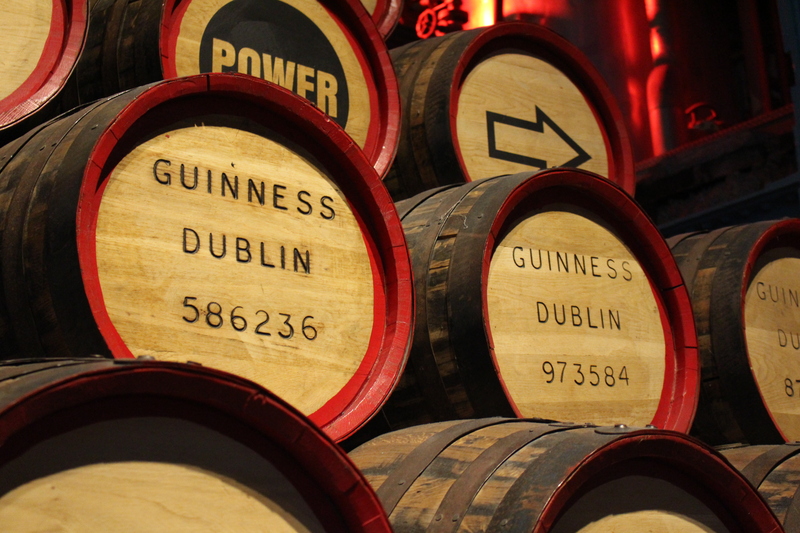 Last day in Dublin. Last time taking the bus into the city from UCD, and last time coming back home. It’s a bittersweet day. This morning our instructor interviewed Leanne Waters, who wrote a memoir about her battle with bulimia. She was impressively well-spoken. Our excursion into the city was to the National History Museum, aka the Dead Zoo. There were many glass boxes of stuffed animals on display. My friend and I then hit the city to get last-minute souvenirs. I showed her my workplace, then we went shopping at a nearby gift store. After dinner at my favorite pub in the city, we went home and took a nighttime walk on campus. 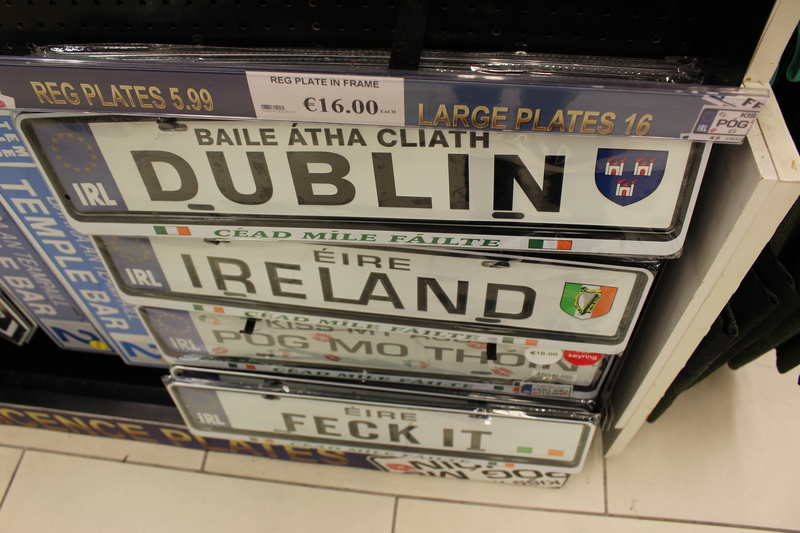 Ireland shall be missed.